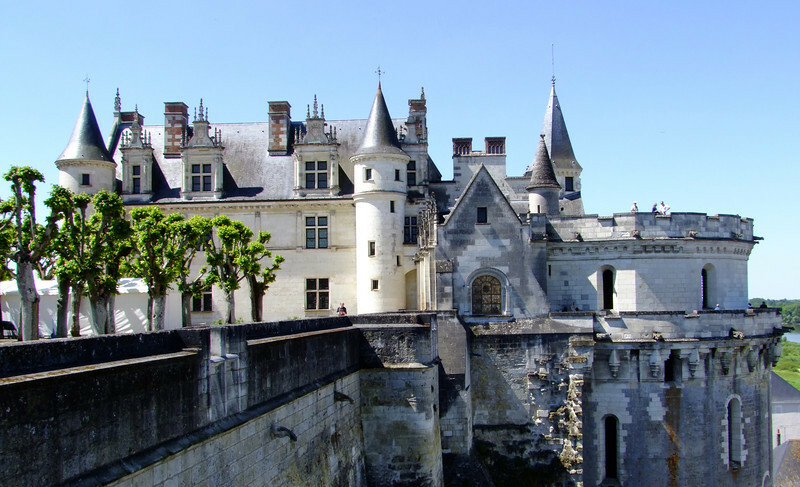 The Loire River Valley of France is known for its beautiful castles (or chateaus), We visited two of them. The famous Chenonceau that spans the Cher River and Amboise the childhood home of King Charles VIII. We stayed two nights at a B&B that had a great view of the Loire River and beyond. Our host Jean Pierre would bring breakfast from the village pastry shop. We awoke each morning to a coo coo bird. It sounded like a clock but was the actual bird. Amboise Castle on the Loire River. It is an imposing fortress with steep walls down to the river.